Specialisations: Vacant Land, Market Research, Property Title Research, Property Appraisals, Project Feasibility and Financial Analysis Reporting. iii) second home residency purchases. 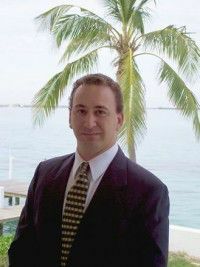 Prior to joining Ageeb Realty, Mark worked for two private investment funds in Nassau, Bahamas and Boca Raton, Florida; each with assets in excess of $300 million. Past positions held included: mortgage REIT analyst, hedge fund analyst, performance measurement specialist and investment fund administrator.